Elk River Ranch is distinguished by its bucolic valley setting, high-quality private fly fishing, outstanding accommodations, future land use flexibility, and proximity to world-class amenities. Recognizing the value of creating this elusive combination, current ownership assembled the ranch by uniting three adjacent river properties into one, then making extensive improvements. The result is an attractive offering that truly has no equal. Located in the heart of the pastoral Elk River Valley, this 695± acre ranch features an ultra-private luxury riverfront home, fertile irrigated meadows and cottonwood-lined river with trophy trout fishing. The finely crafted 7,937± square foot main home set on the bank of the river is complemented by a horse barn with caretaker unit and a manager’s home. Excellent water rights supply productive hay meadows which balance the upland grazing pastures. A beautiful and private stretch of the Elk River meanders through the middle of the ranch providing outstanding fly fishing. Neighboring ranches with conservation easements provide protection on two sides, although the Elk River Ranch is unencumbered. In addition to panoramic views of the surrounding mountains he world class amenities of Steamboat Springs are only 10 miles down the valley via paved roads. At the core of the ranch is the magnificent Elk River. As it winds its way through the property, the river is the source of many of its attractive characteristics. The river supplies the irrigation water for the fertile hay meadows and the flows to maintain the exceptional trout fishery. The riparian area along the river is very rich and healthy, consequently supporting a variety of wildlife. This streamside forested area creates the secluded and protected setting for the owner’s compound. Of the property’s 695± acres, the eastern half consists of the river corridor, irrigated meadows, the owner’s compound and manager’s house, and the main entrance to the ranch. The Elk River generally meanders through the center of the ranch along the western edge of the meadows. Beyond the river are bluffs which protect the river and provide beautiful views of the ranch and the surrounding valley. The western half of the ranch increases in elevation toward the western boundary, encompassing beautiful rolling hills and sage covered draws. Elevations range from 6,880 feet along the river to 7,225 feet in the northwest corner of the ranch. Elk River Ranch features picturesque panoramic views in every direction. To the north, the towering summit of iconic Hanh’s Peak identifies the proximity of Steamboat Lake. The high mountains of the Park Range located in Routt National Forest and Mount Zirkel Wilderness lie just to the east of the ranch. In the distance to the southeast towards town, the upper slopes of the Steamboat Ski Resort can be seen. To the south Elk Mountain rises up, commonly known as the Sleeping Giant due to its distinctive profile. Looking to the west are numerous mountains including Wolf Mountain, Pilot Knob and Sand Mountain. Elk River Ranch is surrounded by a number of large private ranches that also continue to be operated agriculturally. 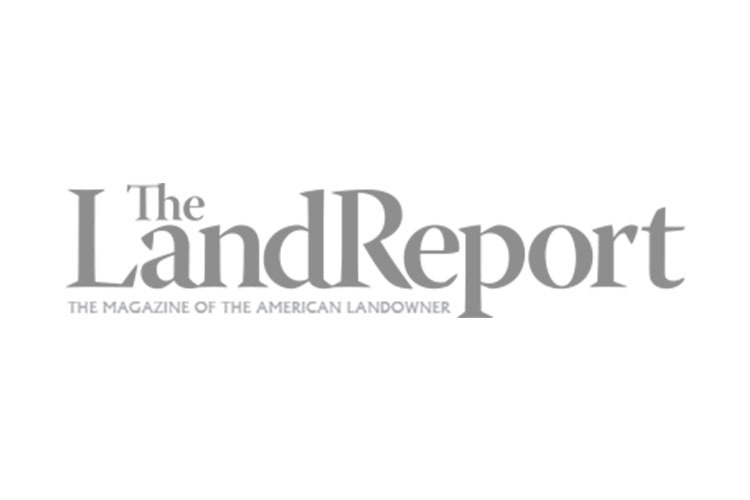 Three key neighboring ranches have been protected in perpetuity with conservation easements. Elk River Ranch is not subject to a conservation easement and there are no unusual limitations on its potential for future conservation or subdivision. Famous landscape photographer and top-selling publisher John Fielder aptly describes the Elk River Valley in his book Best of Colorado as "one of the most beautiful river valleys in Colorado." Towering cottonwoods line the trout filled river as it meanders through verdant meadows, and forested mountains surround the valley on all sides. The area is rich with recreational opportunities including exceptional fly-fishing, big game hunting, and skiing at Steamboat Resort located just 15 minutes from the ranch. Extending north from Steamboat Springs, the Elk River valley lies on the west side of the Park Range and the Mount Zirkel Wilderness. The Elk River is a main tributary of the Yampa River, which drains the majority of Northwest Colorado. Elk River Ranch is situated in a quiet part of the valley, where the paved road (Highway 129) was constructed over a mile from the river and no trains travel the valley. A well-maintained county road provides access to the property entrance. The ranch is located in northern Routt County, midway between Steamboat Springs and Steamboat Lake. The tiny town of Clark is just 7 miles to the north. Clark is home to the well-known Clark Store, a popular gathering place for locals and guests of several luxury guest ranches, including the Vista Verde and the Home Ranch. At the top of the valley, the Steamboat Lake area has become a recreation mecca with boating, fishing and snowmobiling. The four-season resort town of Steamboat Springs is situated 10 miles to the southeast and the local general aviation airport is located between the ranch and town, less than 10 minutes away. Commercial air service is also close by at the Yampa Valley Regional Airport in Hayden, which is just over 30 minutes to the southwest. While development has forever changed the landscape around most Rocky Mountain ski resorts, ranching still dominates the culture of the Steamboat Springs area. Despite its beauty and proximity to Steamboat Springs, the Elk River Valley in particular has been relatively sheltered from development. Working cattle and horse ranches dominate the countryside and many of the properties throughout the valley have been permanently protected with conservation easements. Steamboat is a unique Colorado town, maintaining the perfect balance of a world-class destination resort with all the attendant amenities, while at the same time embracing its western heritage and authentic small-town friendly character. The Steamboat ski area is world famous for its fluffy powder and epic tree skiing. A credit to the 104–year-old Winter Sports Club and extraordinary local ski and snowboard training facilities, Steamboat has sent more athletes to the Winter Olympics than any other town in North America. With approximately 12,000 residents, the town boasts great schools and wonderful restaurants, as well as the regional health care center. Routt County has attracted an increasing number of "location neutral" businesses and people who could live virtually anywhere, but choose this area for the attractive quality of life found here. The Elk River Ranch boasts an attractive year-round mountain climate. The summers are moderate with cool nights and the winters are relatively mild for a ski resort location. The property is easily accessed every month of the year. The elevation of the property ranges from approximately 6,880 feet along the river to 7,225 feet at the highest point. 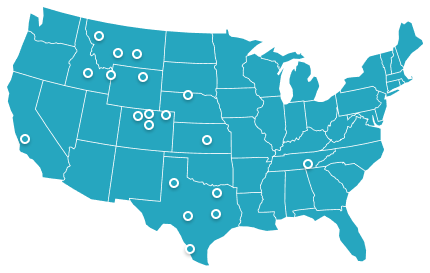 Due to its location at the base of the west slope of the Continental Divide, the Steamboat Springs area receives more precipitation than the average for Colorado, enjoying 24 inches of average annual precipitation. Temperatures range from an average high of 82 degrees in July, the warmest month, to an average high of 27 degrees in January, the coldest month. The area also benefits from abundant sunshine and little wind. The ranch improvements are usefully arranged in two locations. The ranch manager’s house is located along the county road at the entrance to the ranch, where the manager has easy access, yet is separate from the owner’s compound. Tucked into the cottonwood trees lining the river, the main compound is situated in the center of the ranch in a very private and protected location. With manicured grounds set amongst the mature cottonwood and willow trees, it is a beautiful setting and is extraordinarily private. A circular asphalt drive connects the main house and the equestrian facility. The centerpiece of the owner’s compound is an exquisite four bedroom, six bath custom home. The style is mountain contemporary and the 7,937± sq. ft. floorplan is thoughtful and functional. The grand entry welcomes guests to an estate graced with custom hand-finished textured walls and gorgeous tumbled marble floors. The spacious great room features a massive moss-rock fireplace and a gallery of windows overlooking the river setting. An authentic wood burning pizza oven is the perfect cooking accessory to all the top-grade appliances that make up the gourmet kitchen: two dishwashers, two sinks, two islands, a cooktop pot water faucet, large pantry, and dining nook. In the dining room, the floors are graced with 100-year-old rustic reclaimed barn wood while the textured walls tastefully display exotic wine labels. This is the perfect place to entertain with the warmth of a fire, a comfortable bar, wine refrigerator and wine storage. All four bedrooms, including the lavish master suite, are on the main level and laundry rooms at either end of the house create ease in housekeeping. Upstairs is a multi-function room with full bath, perfect for a gym, recreation room or additional bedroom(s). Outdoor spaces are designed for entertaining or relaxing with a large covered patio, gazebo, and built-in grilling station complete with outdoor sound system, all overlooking the landscaped riverbank setting. Finally, the oversize four-stall garage offers plenty of room for vehicle storage. Located near the main house in the owner’s compound is a horse barn, indoor and outdoor arenas, round pen, and several horse pastures. The barn features five stalls with tack room, bath, and living quarters for guests on the upper level. This 1,770± sq. ft. home was built specifically for the ranch manager in 2008 with three bedrooms and three baths. The hay meadows of Elk River Ranch are amply supplied by irrigation water from some of the oldest rights in the valley, dating back to the late 1800s. Additionally, the ranch has rights for two ponds, multiple springs, and two water wells. All water rights appurtenant to the property will transfer to the buyer at closing. 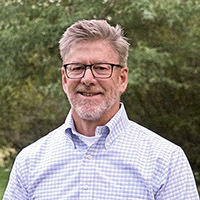 A detailed summary of the water rights associated with the property has been completed by a water rights attorney and will be made available for review by qualified prospective buyers at the appropriate time. Seller is offering to convey any and all owned minerals appurtenant to the property. Current property taxes are estimated to be approximately $20,000 annually. The scenic beauty of the Elk River is complemented by its status as a superb trout fishery. As a main tributary of the Yampa River, the Elk drains to the west side of the Park Range and the Mount Zirkel Wilderness and portions of the Elkhead Mountains. The Elk River is a fertile, medium gradient, freestone river; a wild river without any main stem impoundments. The Elk flows through predominately private ranch land and is not heavily fished due to limited access. Elk River Ranch features an outstanding stretch of the Elk River that is known for high-quality trout fishing. Encompassing approximately 1.5 miles in total channel length, this part of the river is exceptionally diverse and features great trout habitat. There are many riffles, runs and deep pools and they all have their own character due to the river’s various meanders, islands, bends, shelves and S-curves. The streambed is predominantly medium size cobblestone and widths range from approximately 35 to 100 feet, resulting in a nice river for wade fishing. The ranch owns both sides of the river making this stretch one of the longest totally private reaches on the Elk River. The trout species are primarily rainbows, with lesser numbers of brown, cutthroat, cut-bow and even an occasional brookie. The typical fish landed is a colorful 14 to 16 inch specimen and there is a healthy population of larger fish over 20 inches. The dry fly fishing can be outstanding, while streamers and nymphs are always productive. The nearby hay meadows can make for an exciting grasshopper "hatch" in the late summer months. The upper fishing beat is the most wild and raw. This stretch begins as the river flows onto the ranch at an island with several side channels, one of which is a tributary stream. This stream, named Deep Creek, converges with the river right at the upstream boundary of the ranch. It is not unusual to encounter elk and deer while fishing this part of the ranch. After flowing through several riffle-pool sequences and gentle meanders, the river splits around another island with a great confluence pool and then flows into the middle reach. The middle fishing beat begins with a long run followed by three consecutive big bends. The first bend turns right at the back yard of the owner’s home. The river then flows through several riffles and small pools and cuts back the other way when it reaches the base of the bluff. A stretch of great dry fly water sets up before the third bend. This curve is the smallest, but culminates in a deep hole that is one of the best fishing spots on the whole ranch for big fish. This stretch features a gravel drive that parallels the river for excellent access. The lower fishing beat begins with a long, slow straight nicknamed the Aquarium because the bluff that makes up the west bank of the river provides an elevated platform to view fish swimming below. This is also a great spot for a fishing buddy to help "spot and stalk" fish and watch hook-ups. Moving downstream, the river speeds up again after an irrigation diversion that has created another deep pool loaded with fish. One long sweeping bend is followed by a riffle and then another long bend in the other direction. Both bends have broad gravel bars on the inside and are great locations for less experienced anglers. The final stretch of this beat is a long riffle punctuated with areas of deeper water that always hold fish. The quality of the fishing is confirmed by the fact that the ranch has been leased by the local Orvis-endorsed fly shop for years and is one of their premier guided fishing destinations. They have expressed strong interest in continuing a guiding and/or leasing relationship with a new owner. A wide variety of wildlife is found on Elk River Ranch, including elk, deer, waterfowl and upland birds. The rich habitat and protected nature of the property, along with its location, serve to attract elk and deer, especially to the meadows and the riparian area along the river. The abundance of water provides a healthy environment for various ducks, geese and other birds. In addition to the property itself, there are many nearby destinations for wildlife viewing. 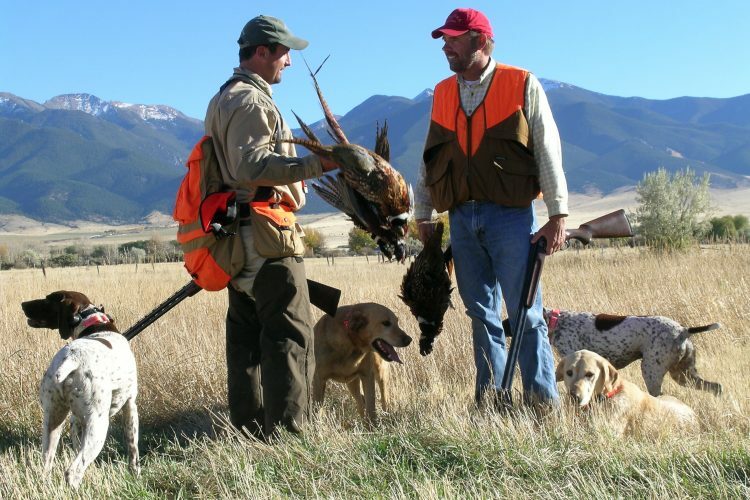 For the hunter, one of the best big game hunting areas in Colorado is located in the northwest part of the state surrounding Steamboat Springs and the Elk River valley. 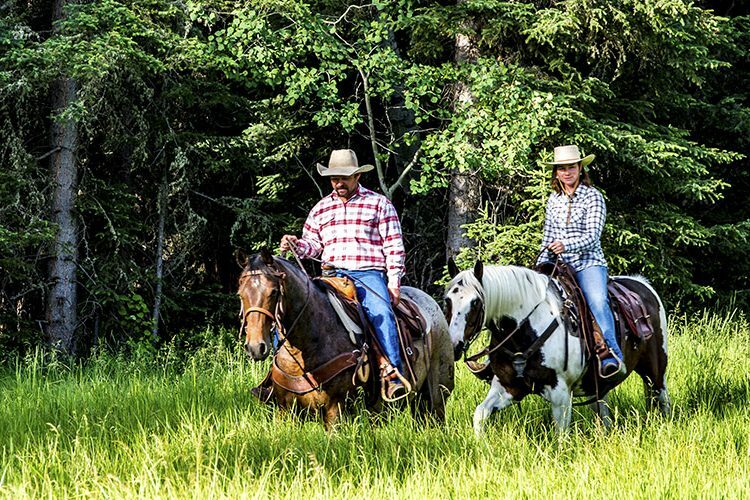 Elk River Ranch lies in the heart of an amazing recreational paradise. A multitude of outdoor opportunities are available within the boundaries of Elk River Ranch, as well as in the immediate vicinity. The proximity of the ranch to the surrounding mountains, ski area, Steamboat Springs, Elk and Yampa River drainages, Routt National Forest and Mount Zirkel Wilderness Area make it very convenient to take advantage of the abundant nearby recreational opportunities. Summer activities include outstanding boating, floating, fishing, golfing, hiking, biking, riding, and exploration of vast national forest and wilderness areas within a short distance of the ranch. The focal points of winter recreation are the Steamboat ski area and extensive snowmobiling opportunities. With nearly 3,000 acres of skiable terrain, Steamboat is one of Colorado’s largest areas and most family friendly resorts. There is excellent backcountry powder skiing in the Park Range through Steamboat Powdercats or private snowmobile. For those more interested in motorized winter recreation, Northwest Colorado is the top destination in the state for snowmobiling, with groomed trail systems around Steamboat Lake, Buffalo Pass, Rabbit Ears Pass, the Elk Heads, and the Flat Tops. Other winter activities include snowshoeing, ice skating, and Nordic skiing. The flat meadows of the ranch are the perfect venue for a skate skiing trail system. The aesthetic and recreational strengths of the ranch are nicely augmented by its agricultural production. Excellent water rights allow the irrigation of highly productive hay meadows. Top-quality Timothy hay is grown with an average production of 2 to 2.5 tons per acre. The property is fenced and cross-fenced, with fences in good condition. Additionally, alfalfa is grown on approximately 45 acres in the hills west of the river and large areas of sage were recently mowed to enhance grass production. The ranch is currently leased to a tenant who is responsible for the irrigating, haying, grazing, and maintaining fences. The ranch is also well-suited for equestrian use, with horse pastures and extensive riding opportunities on the ranch and in the nearby Routt National Forest. The ranch employs a caretaker who lives on the ranch with his wife, oversees the property, and takes care of the grounds.